Home>Sports> LeBron: East Teams Making Moves Because "They Ain't Gotta Go Through Me"
Multiple teams near the top of the Eastern Conference made major moves at the NBA trade deadline, as the race to win the East is wide open now that LeBron James is playing for the Los Angeles Lakers. Earlier this week, the Sixers made a deal for Los Angeles Clippers' forward Tobias Harris, which gives them a formidable foursome of Ben Simmons, Jimmy Butler, Harris and Joel Embiid. 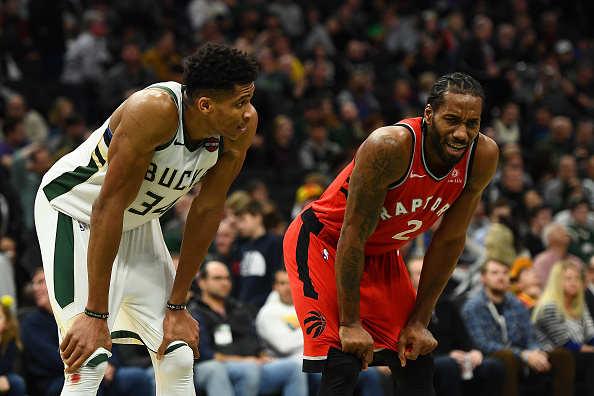 The top two teams in the East, the Toronto Raptors and Milwaukee Bucks, also made moves at the deadline, as Toronto acquired veteran center Marc Gasol, while the Bucks added Nikola Mirotic. The Boston Celtics were the only Eastern Conference title contender not to make any moves at the deadline, but they still have a roster intact that took LeBron and the Cavs to seven games in the Eastern Conference Finals a season ago. With all of the moves being made, it's clear that those teams in the East believe their time is now. According to The Athletic‘s Joe Vardon, LeBron says the Sixers, Raptors, Bucks and Celtics have a good reason to feel that way: "They ain't gotta go through me." “Those top teams in the East, yeah, they’re going for it. Toronto is going for it, Milwaukee’s going for it, Philly. Boston believes they can do it, too. They know they ain’t gotta go through Cleveland anymore. SPORTS LeBron: East Teams Making Moves Because "They Ain't Gotta Go Through Me"